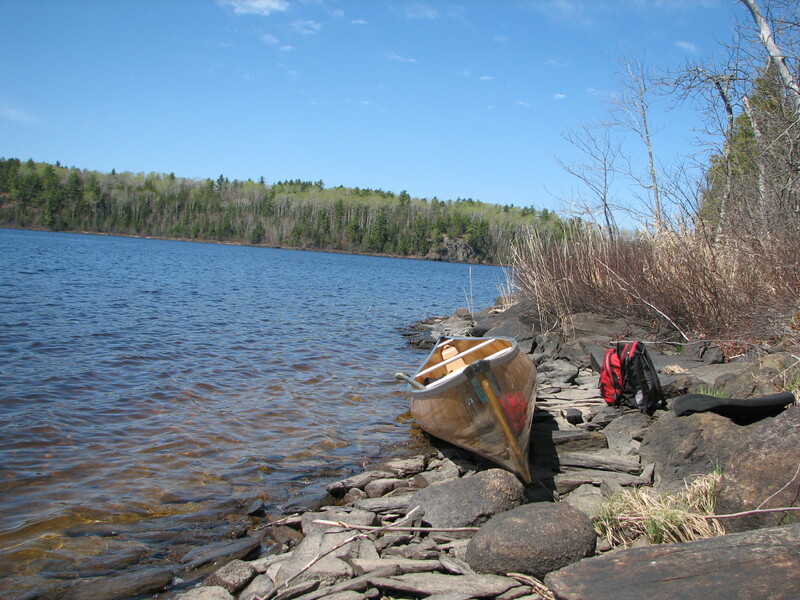 I’m a lucky guy–I’ve canoed the Quetico/Superior since 1981, and while I’ve camped from Alaska to Algonquin, northern Minnesota is my favorite destination. In 1992, I spent 5 months as a volunteer wilderness ranger in Ely, the most content I have been in my life. But one of my more memorable trips was a recent solo up and back to Pipestone Bay, lasting barely 5 hours. It was Earth Day and the first time I ever canoed in April. 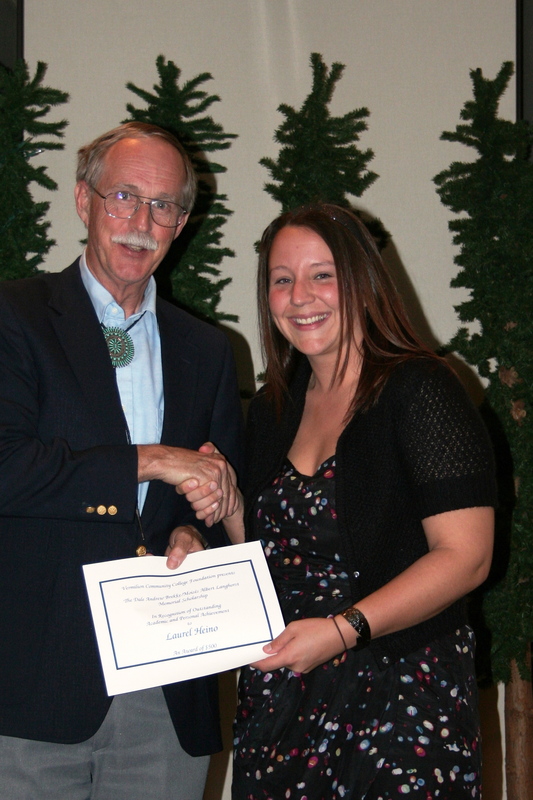 I went to Ely for the annual Vermilion Community College Foundation scholarship banquet. 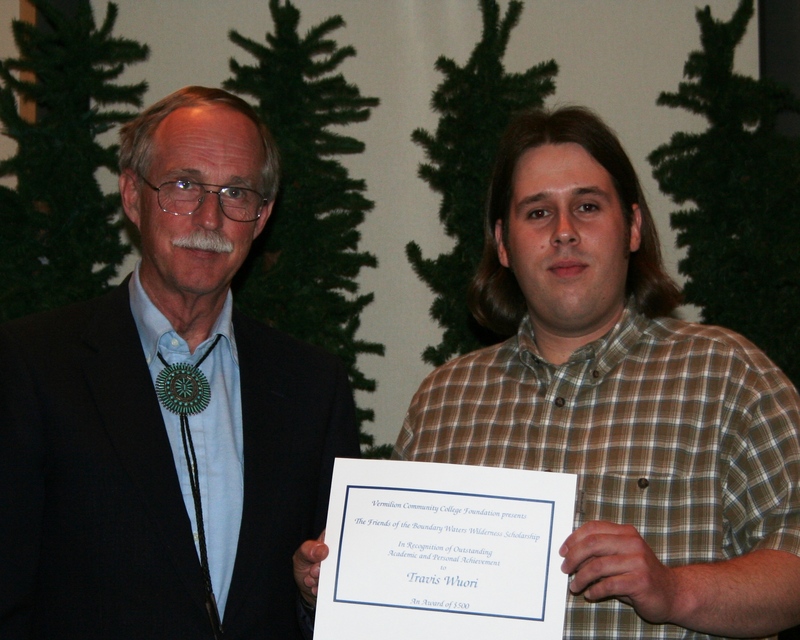 For 5 years, my wife and I have sponsored a scholarship for a student selected by the College who is studying environmental or wilderness course work leading to a career in those fields. I try to attend the banquet to present the scholarship. It’s our legacy to a town and wilderness we deeply love. I contribute to three scholarships: the amount of money the Foundation annually disburses has doubled since 2005. 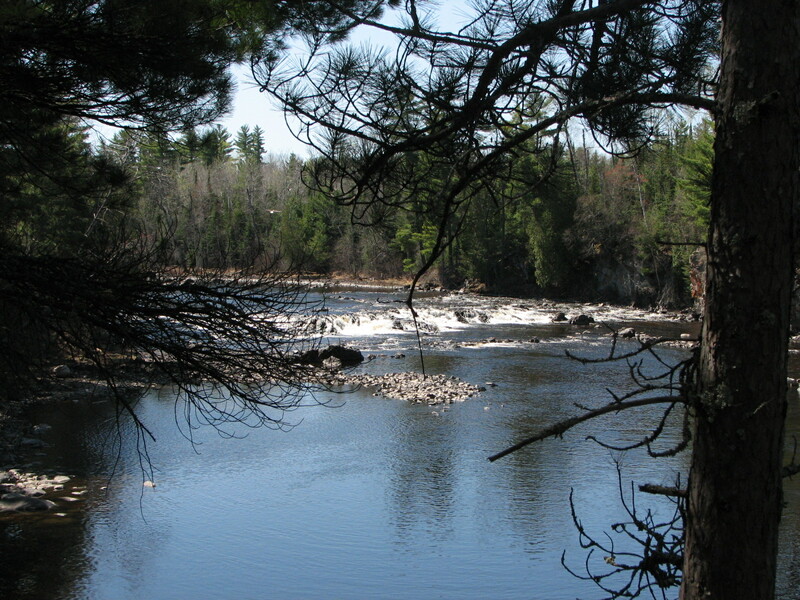 I worked with the Friends of the Boundary Waters to create a scholarship in 2008; they and I jointly fund it. 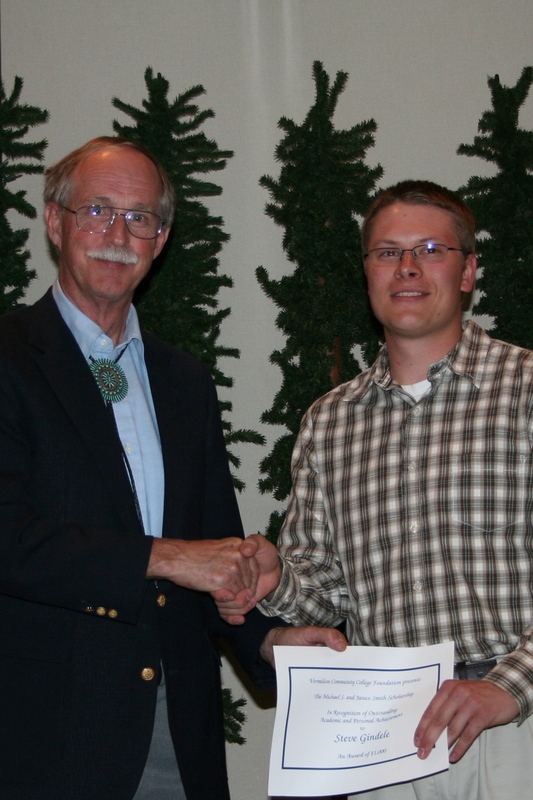 I would also present that scholarship at the banquet, which pleased me no end–an Arizona guy who brought two fine Minnesota organizations together to create something good. 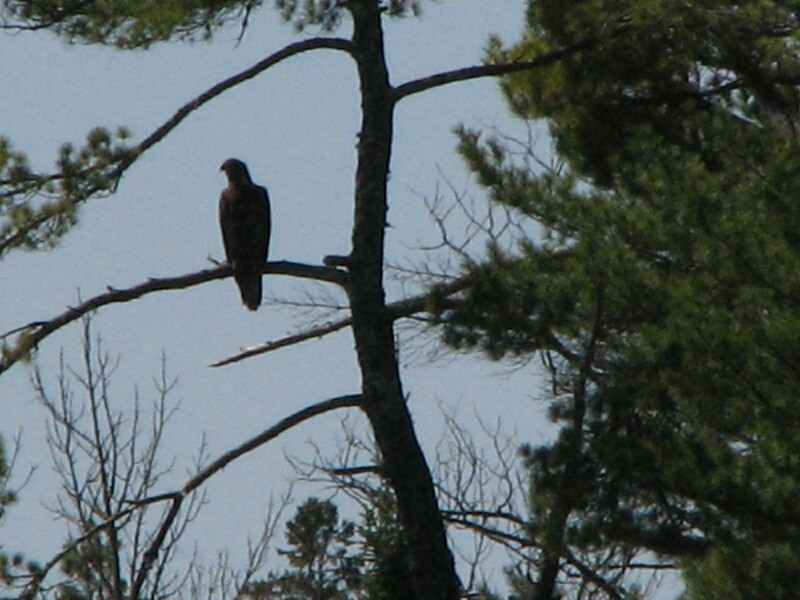 Up on Pipestone, I shot video of immature eagles soaring in a cloudless sky. After lunch on Newton , I portaged back to Fall, paddling by the campsite where my wife and I stayed on 9/16/2001: we started that trip on 9/11, unaware of events, heard the next day on Basswood River “the country was shut down,” but had few details and were nervous what we would learn when we exited. On every trip since, we always note the presence of aircraft. As a Navy veteran, a shipboard medical officer, I had long wanted to establish a scholarship for veterans, whom I feel should get free education. Patti Zupancich of the Foundation worked with the Brekke and Langhorst families to allow me to contribute to an existing scholarship in memory of two young Moose Lake cousins who died in Iraq, 6 months apart. Their aunt would attend the banquet but declined to present the scholarship because she knew how emotionally difficult it would be. Patti suggested that I present the award, which was met with immediate approval. I was grateful both families allowed me to contribute; I was deeply moved by their additionally allowing me to present it, one of the greatest honors I’ve ever received. At 3 p.m., I came off the water, tired, sore and happy to have used muscles that had forgotten what paddling and portaging entailed. It felt good to do J-strokes, scull, sweep, avoid rocks and portage again. It felt right to solo in the wilderness. But it felt odd to know in an hour, I would change from canoe clothes to coat and tie. I had never done that before. The banquet is always festive, which must be difficult for those who give memorial scholarships–a gold star family from Wisconsin presents one each year, too. There is also one in memory of “Jackpine” Bob Cary, given by his daughter. The recipient of our scholarship was there with his parents. I enjoyed seeing how happy the three of them were. The recipient of the Friends scholarship had taken people on tours to Listening Point. One of the Brekke-Langhorst recipients had spent 4 years in Iraq; his father was also a veteran, and we had an interesting conversation. The other recipient, a young woman, was ex-Navy; both of us have sailed many tens of thousands of nautical miles on the same seas in different eras. 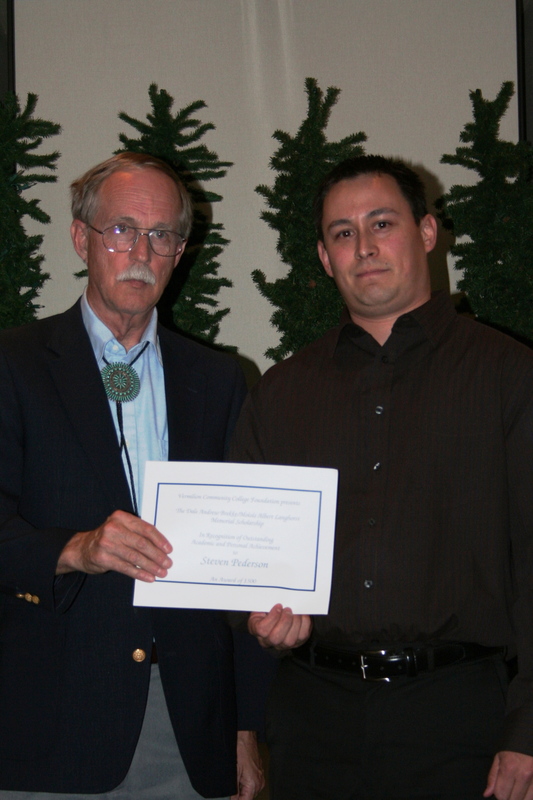 As expected, presenting the Brekke-Langhorst scholarship was emotional, and I wanted everything to be proper. The brave young men’s aunt thanked me, but I felt I received more than the recipients. Every time I give, I seem to receive more. I’m hoping the Friends get enough support to sponsor a second scholarship. I hope some of my fellow wilderness travelers will remember those students in Ely, at the edge of the wilderness and on the edge of poverty. If giving money is not possible, haul out a lot of trash on your next canoe trip. Do something good for this special wilderness. 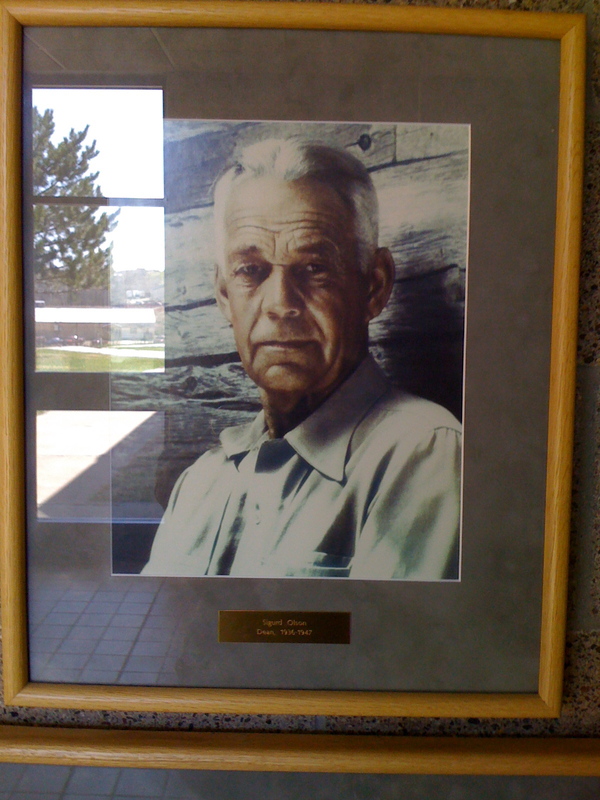 In 1938, Sig Olson, Dean of what was then called Ely Junior College, wrote “Why Wilderness?”, stating exactly how I feel on the trail: the need for “sweat and toil, hunger and thirst, and the fierce satisfaction that comes only with hardship.” Sig referred to hardship on the trail, not financial hardship. There’s a scholarship in his name, too, which I want to honor by ensuring hardship stays only where it belongs. This entry was posted on April 29, 2010 at 16:42 and is filed under OUTDOOR WRITING, PUBLISHED, UNPUBLISHED OUTDOOR WRITING, VERMILION COMMUNITY COLLEGE SCHOLARSHIPS. You can follow any responses to this entry through the RSS 2.0 feed. You can leave a response, or trackback from your own site.